U.S. spy agencies are seeing signs that North Korea is constructing new missiles at a factory that produced the country?s first intercontinental ballistic missiles capable of reaching the United States, according to officials familiar with the intelligence. The findings are the latest to show ongoing activity inside North Korea?s nuclear and missile facilities at a time when the country?s leaders are engaged in arms talks with the United States. The new intelligence does not suggest an expansion of North Korea?s capabilities but shows that work on advanced weapons is continuing weeks after President Trump declared in a Twitter posting that Pyongyang was ?no longer a Nuclear Threat.? The reports about new missile construction come after recent revelations about a suspected uranium enrichment facility, called Kangson, that North Korea is operating in secret. Secretary of State Mike Pompeo acknowledged during Senate testimony last week that North Korean factories ?continue to produce fissile material? used in making nuclear weapons. He declined to say whether Pyongyang is building new missiles. During a summit with Trump in June, North Korean leader Kim Jong Un agreed to a vaguely worded pledge to ?work toward? the ?denuclearization? of the Korean Peninsula. But since then, North Korea has made few tangible moves signaling an intention to disarm. The Sanumdong factory has produced two of North Korea?s ICBMs, including the powerful Hwasong-15, the first with a proven range that could allow it to strike the U.S. East Coast. 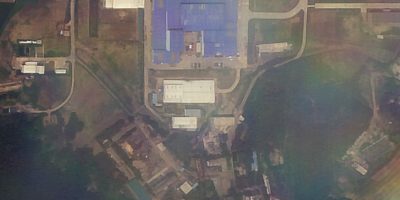 The newly obtained evidence points to ongoing work on at least one Hwasong-15 at the Sanumdong plant, according to imagery collected by the National Geospatial-Intelligence Agency in recent weeks. ?We see them going to work, just as before,? said one U.S. official, who, like the others, spoke on the condition of anonymity in discussing sensitive intelligence. The exception, the officials said, is the Sohae Satellite Launching Station on North Korea?s west coast, where workers can be observed dismantling an engine test stand, honoring a promise made to Trump at the summit. Buttressing the intelligence findings, independent missile experts this week also reported observing activity consistent with missile construction at the Sanumdong plant. The daily movement of supply trucks and other vehicles, as captured by commercial satellite photos, shows that the missile facility ?is not dead, by any stretch of the imagination,? said Jeffrey Lewis, director of the East Asia Nonproliferation Program at the James Martin Center for Nonproliferation Studies. The Monterey, Calif., nonprofit group analyzed commercial photos obtained from the satellite imagery firm Planet. ?It?s active. We see shipping containers and vehicles coming and going,? Lewis said of the Sanumdong plant. ?This is a facility where they build ICBMs and space-launch vehicles.? Lewis?s group also published images of a large industrial facility that some U.S. intelligence analysts believe to be the Kangson uranium enrichment plant. The images, first reported by the online publication the Diplomat, depict a football-field-size building surrounded by a high wall, in North Korea?s Chollima-guyok district, southwest of the capital. The complex has a single, guarded entrance and features high-rise residential towers apparently used by workers. Historical satellite photos show that the facility was externally complete by 2003. U.S. intelligence agencies believe that it has been operational for at least a decade. If so, North Korea?s stockpile of enriched uranium could be substantially higher than is commonly believed. U.S. intelligence agencies in recent months increased their estimates of the size of North Korea?s nuclear arsenal, taking into account enriched uranium from at least one secret enrichment site. Several U.S. officials and private analysts said the continued activity inside North Korea?s weapons complex is not surprising, given that Kim made no public promise at the summit to halt work at the scores of nuclear and missiles facilities scattered around the country. The North Koreans ?never agreed to give up their nuclear program,? said Ken Gause, a North Korea expert at the Center for Naval Analysis. And it is foolish to expect that they would do so ? at the outset of talks, he said. ?Regime survival and perpetuation of Kim family rule? are Kim?s guiding principles, he said. ?The nuclear program provides them with a deterrent in their mind against regime change by the United States. Giving up the nuclear capability will violate the two fundamental centers of gravity in the North Korean regime.? Pompeo, at the Senate hearing last week, sought to assure lawmakers that the disarmament talks with North Korea remained on track and that the effort to dismantle the country?s nuclear arsenal was just getting underway. He brushed aside suggestions that the administration had been deceived by Kim. ?We have not been taken for a ride,? he said. But some independent analysts think the Trump administration has misread Kim?s intentions, interpreting his commitment to eventual denuclearization as a promise to immediately surrender the country?s nuclear arsenal and dismantle its weapons factories. ?We have this backward. North Korea is not negotiating to give up their nuclear weapons,? Lewis said. ?They are negotiating for recognition of their nuclear weapons. They?re willing to put up with certain limits, like no nuclear testing and no ICBM testing. What they?re offering is: They keep the bomb, but they stop talking about it. ?